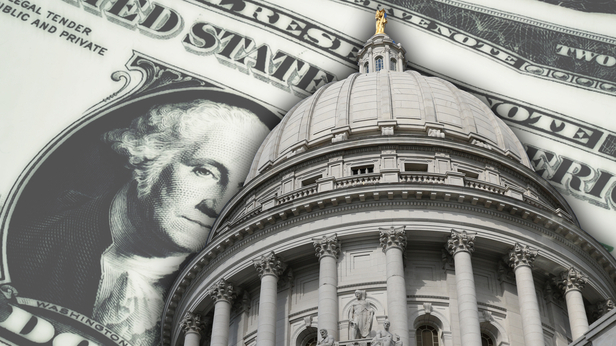 [Madison, Wis…] Described as the “bonding house of last resort,” the Public Finance Authority issues higher-risk bonds for government and not-for-profit projects. So why is Wisconsin’s Legislature looking to give this controversial, quasi-public entity more authority – including the power of eminent domain? Even some lawmakers and political insiders don’t know the answer. Last week, the Legislature’s budget-writing committee approved on party lines an omnibus motion including “Modifications to Statutes Governing Conduit Revenue Bonds.” The measure’s myriad provisions clarify and expand the power of the Finance Authority. The modifying legislation gives the PFA the authority to own or operate property, gift or otherwise transfer said property. It may also purchase bonds issued by or on behalf of local governments, as well as the federal government or its subunits. And the legislation would introduce eminent domain powers – the ability of governments to take private property for public use in return for “just compensation” to the owner – to this particular public finance process. Specifically, the provision would authorize “eminent domain to a commission created by contract under current law governing intergovernmental cooperation among Wisconsin entities that are acting under the provision of PFA statute.” That would be the commission that oversees the PFA. Bott doesn’t care for the way the PFA changes made their way into an omnibus bill filled with tax reforms that fiscal conservatives support. Some lawmakers told MacIver News Service they were not entirely certain why the changes needed to be made. Most of the provisions are standard and noncontroversial, and political insiders were satisfied with the extended protections for taxpayers. Indeed, the legislation extends existing law that debt incurred by the PFA is not the responsibility of the state. On its website, the Finance Authority declares that all bonds it issues are “considered conduit debt obligations solely of PFA. No liability or debt repayment is attributed to the local government agency.” And the broker “uses no public subsidies or tax dollars” for its operations. But it does have the backing of the state and its statutes. The PFA also is sponsored by the National Association of Counties, the League of Cities, the Wisconsin Counties Association, and the League of Wisconsin Municipalities. Critics claim those associations have profited from the partnership. Mark D. O’Connell, executive director of the Wisconsin Counties Association, did not return two phone calls Monday from MacIver News seeking comment. Jerry Deschane, executive director for the League of Wisconsin Municipalities, referred all questions to O’Connell. As Debtwire reported earlier this year, the PFA may have been born in Wisconsin under unanimous support from the Legislature, but it does the brunt of its business outside the Badger State. The key players behind the Finance Authority are California-based. Some of PFA’s bond deals have come under fire. Last month, Bloomberg reported that Goodwill Industries of Southern Nevada, which runs 50 donation centers and retail stores in Las Vegas, filed for bankruptcy 20 months after issuing $22 million of unrelated municipal bonds. The nonprofit issued the debt through the Public Finance Authority, which specializes in serving as a conduit for risky debt. The PFA is one of more than a dozen third-party bond issuers. Despite its critics, the majority of PFA-connected bonds are performing, according to Debtwire’s breakdown of Bloomberg data. In 2016, the issuer posted a record year of $1.79 billion in bonds issued. PFA has issued more than 450 bonds, at nearly $4 billion in principal and covering more than 100 projects since 2010, according to Bloomberg. Among those investments are more than $1 billion in bonds for a 2.9 million square-foot shopping mall in East Rutherford, N.J., known as American Dream @ Meadowlands. The commerce monstrosity is to include an indoor ski slope and water and amusement rides in the mix of high-end retail. The development deal at one point included a $390 million tax break for developers. The risks of such bonding are noted in a PFA bond announcement. Looking to raise $56.6 million in revenue bonds for the Las Ventanas Retirement Community project, PFA noted the “purchase of the bonds involves a significant degree of risk.” The sale was intended only for “sophisticated investors,” according to the warning. PFA’s governing board is made up of representatives appointed by the sponsors and approved by the authority’s founding members. The city of Lancaster and the counties of Adams, Buffalo, Waupaca, and Bayfield are founding members, according to the PFA’s website. “The Board determines all of PFA’s financing policies and procedures…” the organization notes. And now the state Legislature is on the verge of giving the PFA more authority.